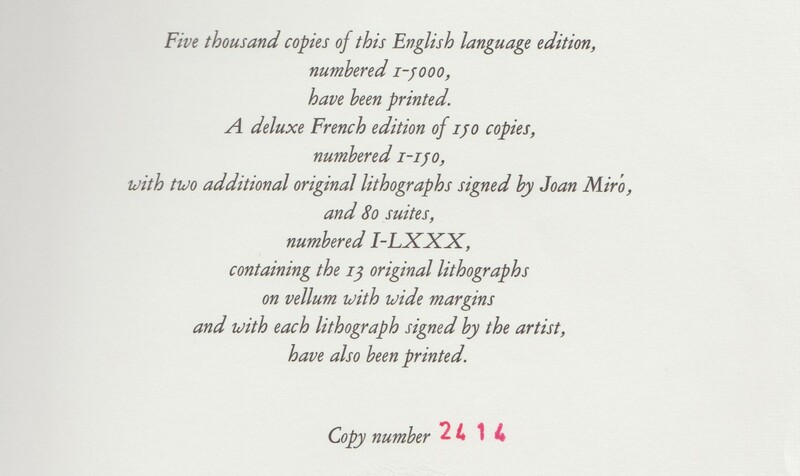 Presented edition of "Lithographs II" by Joan Miró was published in 1975 in limited number of 5000 copies as number 2414, by Leon Amiel Publisher (New York) and printed by Mourlot in Paris. 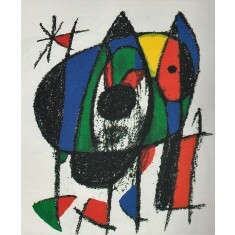 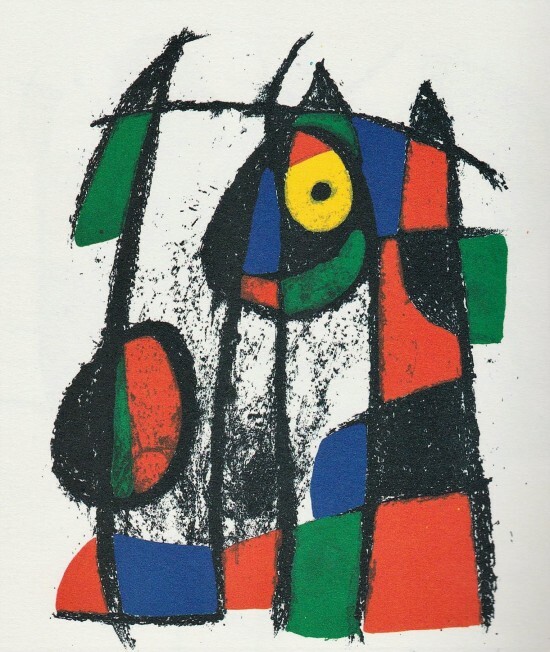 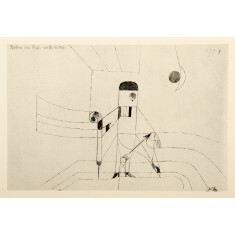 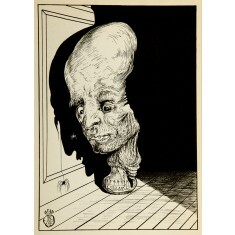 This art piece is cataloged by Maeght Publisher, in catalogue raisonee "Miró Lithographs V 1972-1975", page 148. 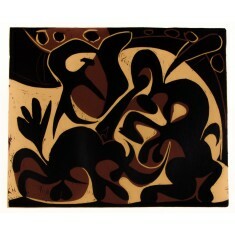 The art piece is framed 40x50cm.